Classical Gabriel and modern Gower & Hand biplots. Color maps for correlations and patterned matrices, based on sign and magnitude, to help identify patterns. 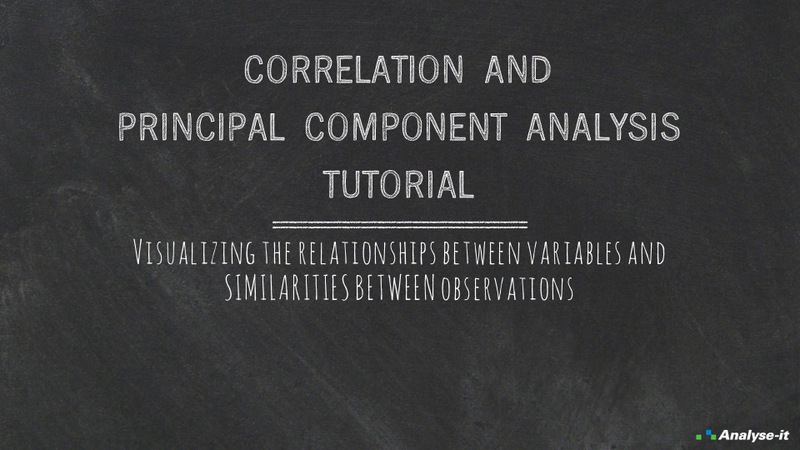 Tutorial (with video) on how to visualize the relationships between variables and similarities between observations. 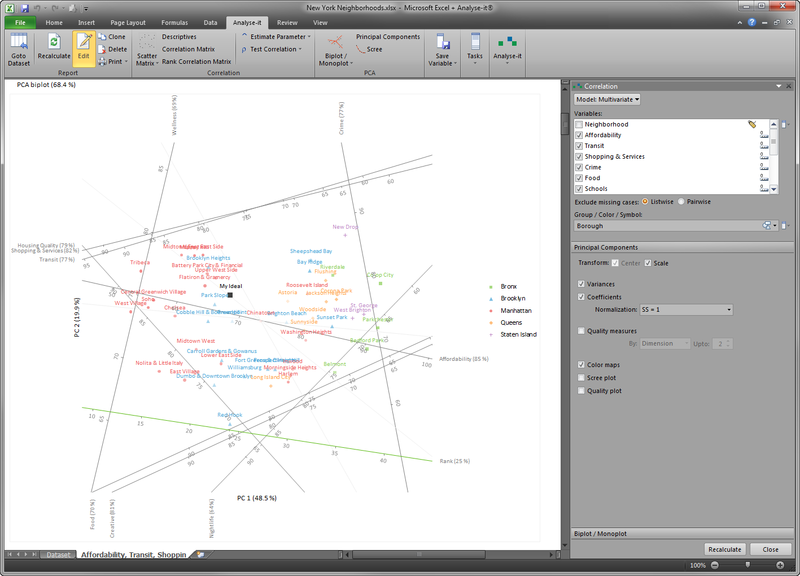 The tutorial walks you through a guided example looking at how to use correlation and principal component analysis to discover the underlying relationships in data about New York Neighbourhoods. It demonstrates the amazing new features and helps you understand how to use them. You can either follow the tutorial yourself, at your own pace, or sit back and watch the video now.